Samsung Electronics announced Galaxy S5 mini, a new Galaxy series. Its design is similar to the previous model but not the specifications. 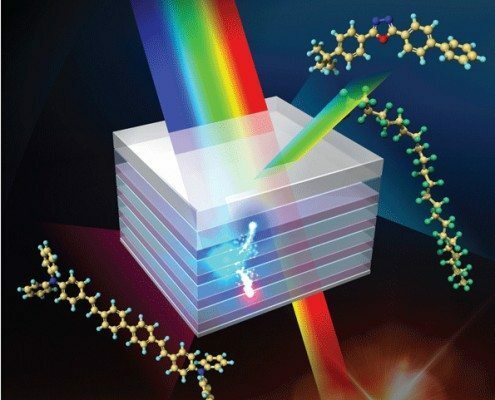 According to a Japanese media, Nikkei, organic device engineering professor Junji Kido of Yamagata University has developed a low-voltage blue phosphorescent material. Samsung is preparing to introduce foldable AMOLED panel applied mobile product, and LG will release a new product with the flexible AMOLED panel in the latter half of this year. As the flexible OLED commercializes, its R&D also accelerates. It was analyzed that the trend of papers published at SID 2014 is the flexible OLED as 9 more papers totaling 23 regarding the flexible OLED were published at SID 2014 than 14 papers 2013. TalkBand, a band type wearable device released by Hauwei at MWC 2014 in the last February, is introduced on Amazon, a large online retailer. One of the TalkBand’s strength is that it can be transformed into a Bluetooth earphone and that gave a title of the world’s first hybrid smart watch to the TalkBand. 1.4” Curved PMOLED by Futaba is applied to the TalkBand. It is expected to draw more customers’ attention by adding a health care feature (tracking calorie intake, sleep pattern and fitness). The U.S. Department of Energy (DOE) announced its selection of nine (9) solid-state lighting (SSL) R&D projects. 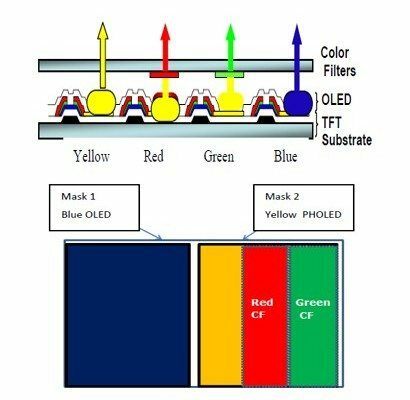 Four out nine projects are related to OLED lighting and selected companies/universities to run the projects are OLED Works, Pixelligent Technologies, Princeton University, and University of California. The project funding will be over $13.7 million (DOE funding, $10.5 million) and funding for each project was not revealed. It is expected that these one-to two-year projects will accelerate cost reduction of SSL technology and improvement of quality and performance. 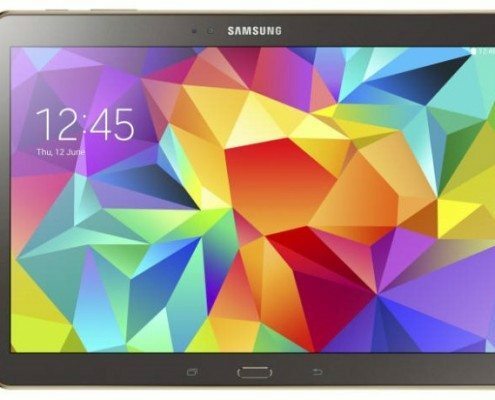 Samsung Electronics (SSE) unveiled ‘Galaxy Tap S,’ which is the strategic premium tablet PC of SSE, at an event of ‘Galaxy Premiere 2014’ held in New York, U.S.A on 12th. Excellent color sensitivity of the ‘Galaxy Tap S’ panel was emphasized on the previously introduced teaser trailer with a copy of ‘Tab/Tap Into Color’ by applying AMOLED panel. Good color reproduction, high contrast and fast response speed as well as differentiated picture quality from the existing LCD panel are the strengths to be used to target the market. At SID2014, it was proved that OLED lighting has competitiveness in terms of efficiency and can compete with LED for the general lighting. Konica Minolta developed 131lm/W OLED lighting panel last March. It also released an OLED lighting panel with efficacy of 139lm/W at the SID 2014 and drew more attention. Panasonic also presented on OLED, and drew more attention unveiling a prototype in Author interview. 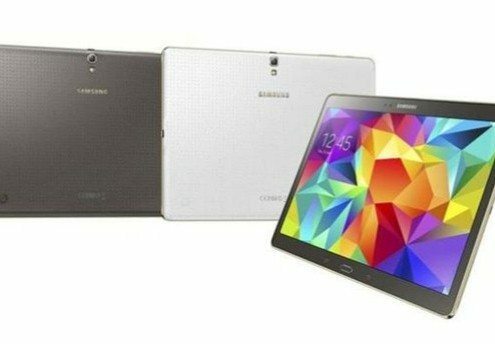 Samsung Display (SDC) unveiled AMOLED panels for 8” and 10” tablet PCs, which is known to be on the market by Samsung Electronics (SSE) from this July. AMOLED latecomers; BOE, AUO and Tianma are rapidly catching up the AMOLED development of Samsung Display (SDC) and LG Display (LGD) at SID 2014.